Uniquely designed sculpture in a three dimensional modern style. 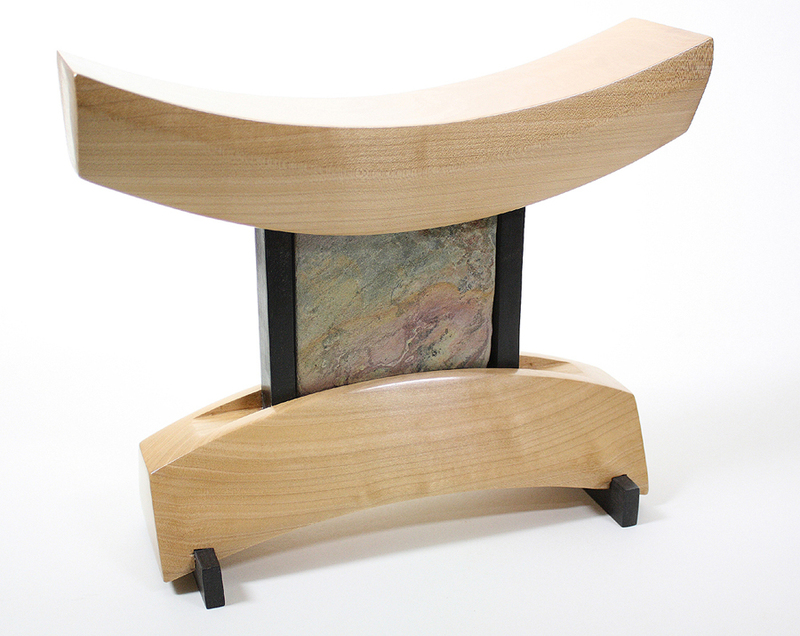 This sculpture depicts a shrine and is composed of a combination of big leaf maple, ebony, stone and blackwood. Meticulous attention is provided to detail and finishing. The wood is not stained and attains a natural patina over time and with exposure to ambient light. Finished with multiple coats of thinned shellac.